Another week of mascots and we are rolling on to a beautiful spring and chugging toward the summer. So in tribute to the days of winter gone, we are going to take a look at a mascot from a place that’s still probably pretty chilly. Cam the Ram heads up the mascot duty for the Colorado State Rams and he enjoys it from both the four legged and the two legged variety. 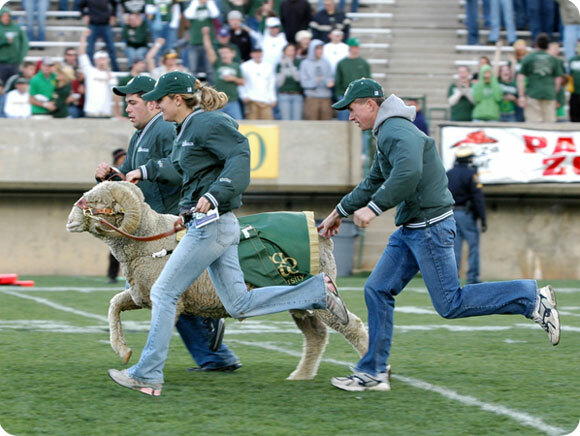 History will show us that Colorado State had a couple of two legged and four legged mascots before Cam the Ram’s debut. So put on your hiking boots, we’re heading of the mountains.